A simple design and heavy-duty construction make this benchtop Iron Bender easy to use. 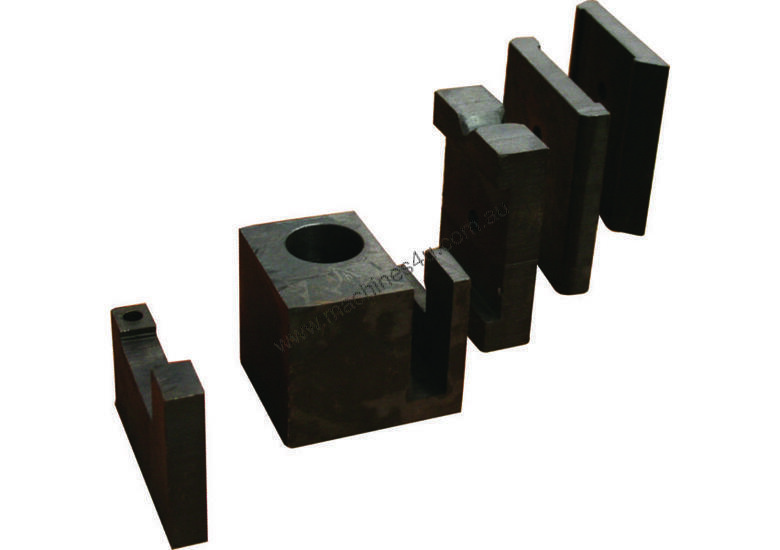 It bends iron bar stock from 100mm wide at 7mm thick with the use of a 4 sided die and variable eccentric adjustment. Bending range is 0° to 120° and includes an adjustable angle stop and work stop for repeat bends. A sturdy handle provides plenty of leverage. Approximate shipping weight: 35kgs. Flat: 100mm x 7mm Mild Steel. Square: 16mm x 16mm M/S. We also offer our Magnabend Models that have been sold within the industry for over 30 years. All supported with backup parts and service second to none. Steelmaster Metalworking Tube & Pipe Bending Machine. When looking for a quality Metalworking Tube & Pipe Bending Machine, look no further than Steelmaster Industrial. Steelmaster Industrial’s Metalworking Tube & Pipe Bending Machines offer the Sheetmetal worker a very high quality machine with superb features and tight tolerances at reasonable prices. Steelmaster carries over 6 models of Metalworking Tube & Pipe Bending Machines in stock at all times for quick shipments. Steelmaster Industrial’s ever growing line of Metalworking Tube & Pipe Bending Machines consists of manual & motorized, electric, digital and also mandrel bending machines as well along with a large range of tooling & accessories. Depending on your needs we have the model for you. With several models to choose from our manually operated SM-HB2, 2” capacity gives the best “bang for the buck” of any of the Metalworking Tube & Pipe Bending Machines. This model comes standard with 10 sets of formers, 2 x stage hydraulic pump and very simple operation. 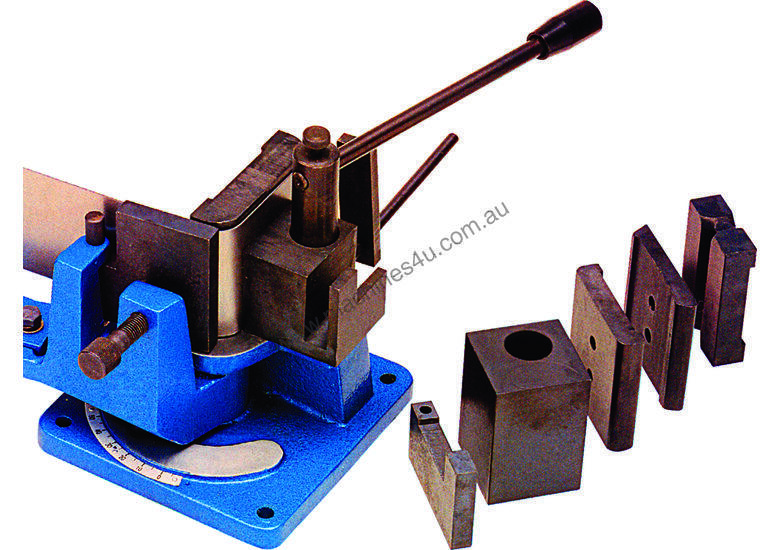 We also offer a range of punching, bending and other forming tools which can be used in conjunction with this model. Steelmaster Industrial offers one of the best selections of Metalworking Tube & Pipe Bending Machines around. From our simple motorized SM-HTB1000 with 3 sets of formers up to 2” , our SM-UNI40A and also NEW SM-UNI70A through to our full CNC3 mandrel Benders. Our Metalworking Tube & Pipe Bending Machines have been fitted up to offer you the best selection of features and come standard with safety e stops to ensure all round safe operation along with a wide range of tooling to suit all applications.